Do you want to illuminate the exterior of your home for less than £ 125? 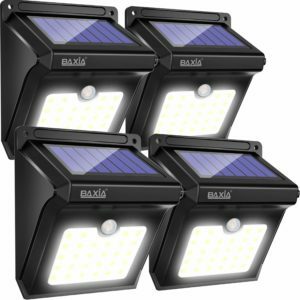 Look at our Solar Lights selection!!! If you read the newspaper or watch the news, you likely know the environment is in trouble. Too many years of taking our resources for granted has caused our planet to run out of sources of non-renewable energy. We have begun a global re-think in regards to how we use our energy and from which sources. The Solar Lights revolution has begun! Sure, you think of solar energy as having to spend thousands of dollars to put solar panels on your roof, right? Well, you CAN do that, and in fact, if you can, I recommend that you do. Converting you home to solar power is getting less and less expensive. But this sight is about easy! Did you know that just how you light your home and garden accounts for a huge percentage of your electricity? The easy way to fix this is with Solar Lights. 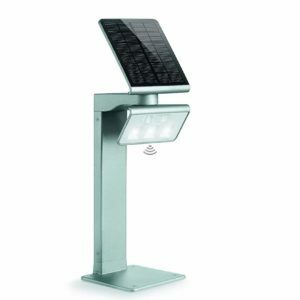 Solar Lights fixtures come in a vast array of styles and designs. 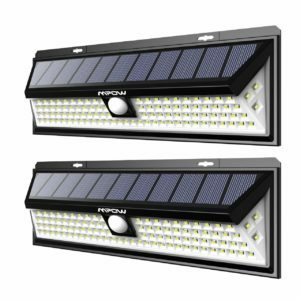 They can be used to light up the interior of a home, garage, or shed (indoor Solar Lights), or as security lights, around your landscaping, or to light your walkways (outdoor Solar Lights). 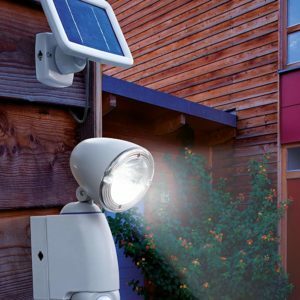 If you use Solar Lights you can get to illuminate the exterior of your home all night without increasing your electricity bill, this way you will feel more secure and you will be able to see everything that happens outside. 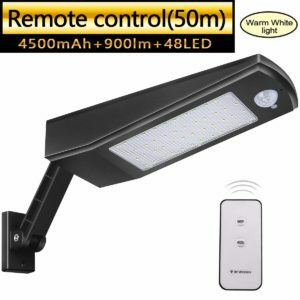 If you also use Solar Led Spotlights with remote control, you can turn them off whenever you want or, in some cases, reduce the intensity of the light. 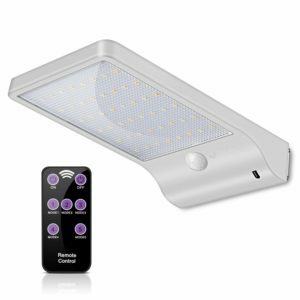 Most models include 3 light modes: Medium Light Mode Without Sensor, Dim Light Sensor Mode, Sensor Mode to meet your demands. If you like to sleep with the blinds raised, put the Led Spotlights in dim light or dimmed light is an excellent solution for when you no longer need so much clarity on the outside. 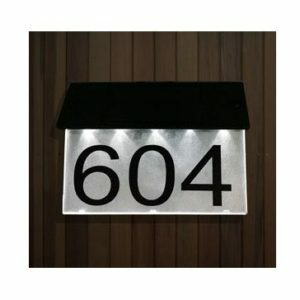 If you do not want to complicate your life, according to our experience, this is the set that we recommend to illuminate the walkways, the entrances and the garden: four 30 Led spotlights for the walkways, two 102 Led spotlights for the entrances and three solar garlands, 200 Led each, for the garden. 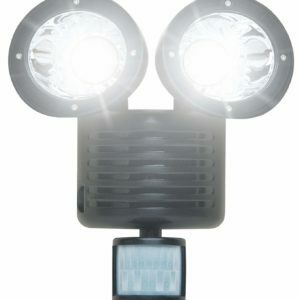 If you want to investigate a little more, these are the Led Spotlights that we recommend because they are the most efficient, the ones that shine the most hours, the best rated and the most powerful. Make your own selection according to your needs. 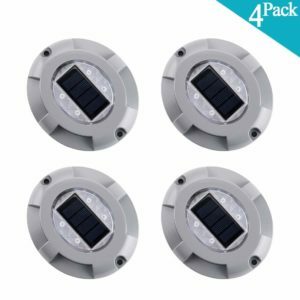 For the walkways and the facades, we recommend any of the following pack of four Led Spotlights. 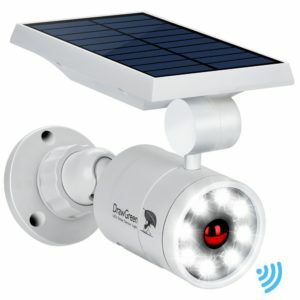 Both for the main entrance and for the exit to the patio, according to our experience, these are the best Solar Led Spotlights. All have the constant light mode of illumination from twilight until dawn. Finally for the garden, we recommend the following Solar Garlands. There are both “pros and cons” that you may want to consider, but the “pros” far outweigh the “cons” for most people. The first point you may want to consider is the bulbs. 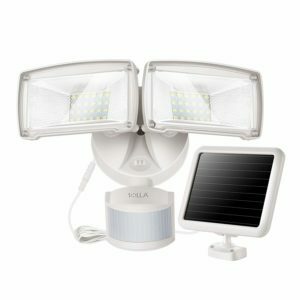 Most Solar Lights fixtures have LED bulbs. LEDs are extremely durable bulbs that offer a very long life span. 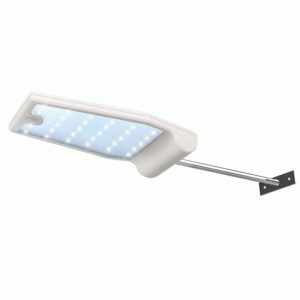 Most LED bulbs will last for the life of the solar light fixture. They also do vey well in just about any climate and are fairly impact resistant as well. This means they are ideal for outdoor fixtures, but they are not nearly as bright as other types of bulbs. LED bulbs must be clustered together in order to obtain a brightness similar to a standard fluorescent bulb. 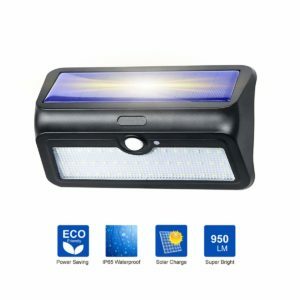 Many companies are currently able to manufacture such fixtures as spot and flood lights using LED bulbs, so the only real “con” to solar lighting is going to be eliminated within the next few years. 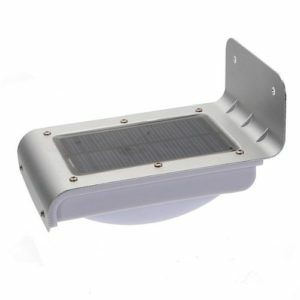 Solar lights also enjoy wide applicability, efficiency and are very easy to install. 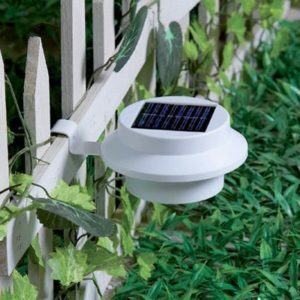 Solar Lights can transform your garden, for outdoor use solar powered lighting has so many advantages that it is no wonder that outdoor Solar Lights is becoming so popular. 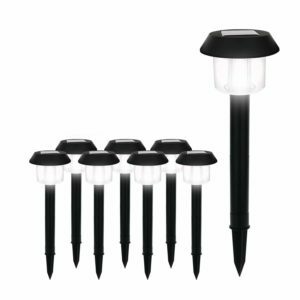 Solar lights have so many uses, landscape lights, path lights, security lights, patio lights, decking lights, highlight plants and trees. 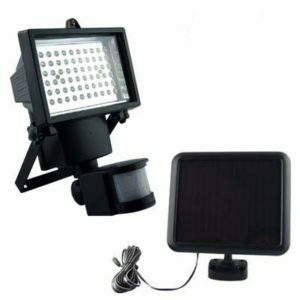 And solar lights are so versatile and easy to move, it is very easy to try different lighting effects. 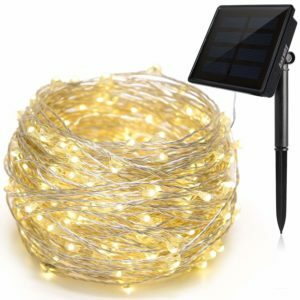 Solar lights need no wiring, no maintenance, well, ok, so an occasional wipe with a cloth to clear dirt covering the solar panel, and are available in dozens of styles at amazingly low prices. You don’t even have to worry about timers, or switching them on. When it’s daylight solar lights switch off and start charging the batteries, then when it gets dark, they come on automatically. Of course, most come with an off switch so you don’t have to have the lights switched on. After the initial purchase solar lighting incurs no running costs, no extra wiring to buy and no timers. Because Solar Lights does not require wiring, it means you are able to move them around to achieve different effects, try things out, highlight one plant in the summer, and use the same solar light to highlight another in the winter. A perfect way to achieve different landscape lighting effects in your garden. 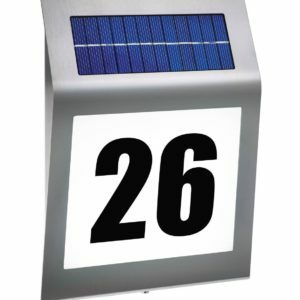 You can also add to the solar lighting as and when you want. You don’t have to buy all your lights in one go. 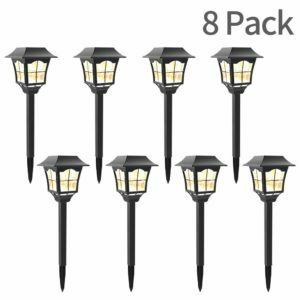 Purchase a few path lights this month, then maybe a couple of solar spot lamps next month and then some solar landscape lights the month after. You could eventually plan to have a garden full of light, but without having a large financial outlay up front. And by using solar lighting, it will cost a lot less than using conventional wired lighting with no ongoing running costs. Solar lights can be installed in places it would be impossible or difficult to install wired lights. On wooden fences, on wooden buildings, anywhere. Because there are no wires, no heat, solar lights are safe and convenient to fix anywhere. Landscape lighting could not be easier than with solar lights. The lack of wiring also means you do not have to plan in advance where you are going to place your solar lights and lay wires ready. If you are going to landscape your garden, it is one thing less to think about in the planning stages, solar lights can be fitted after the rest of the landscaping is finished. And of course, solar lighting saves on the cost of buying wiring and covering the wiring in a sheath to protect it from rodents and spades. 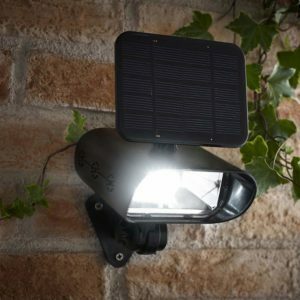 This brings us to the other great advantage of solar lights, safety, with no electricity running through cables in the garden, no high voltage connections, solar lights are absolutely safe. You do not have to worry about children and pets finding a piece of cable with the insulation bitten away by a rodent. Solar Lights can save the day when a powercut hits. 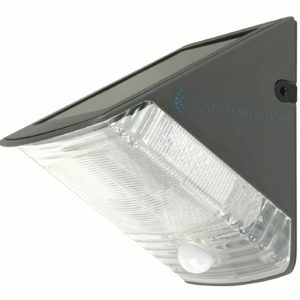 Solar Lights are great as a backup should you suffer a power cut. If you have a power cut, or lose electricity in your home due to a fault, it does not effect your solar lights, they just keep on shining. Great, you say, so we can go and stand outside. No, because solar lights are totally free standing, you can just go out into the garden, collect your solar lights, and bring them indoors. Solar lights are perfectly safe, and will provide lighting all night long. Perfect, you have emergency backup lighting, outside in the garden, charging itself up every day ready for a call to action. Solar lighting is perfect for bordering paths, especially if there is no ambient light and a path is hard to see and follow. Solar lights will light up as soon as it starts to get dark, lighting the way, making it easy and safe to walk up the path without wandering into bushes or falling of the path. 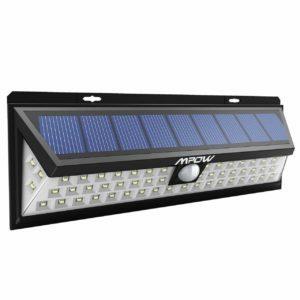 Solar lighting is now available in many different styles, pathway lighting, wall lighting, security lighting, spotlights, lights to bury in the ground or a path. 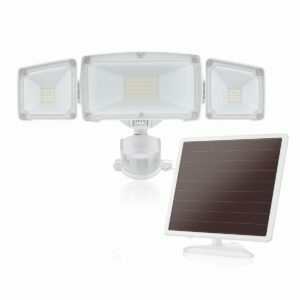 And as the price of outdoor solar lighting is so affordable, you can let your imagination run away with you. 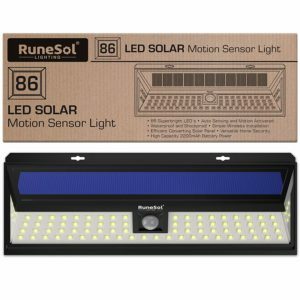 On this site we have pulled together a vast array of different outdoor solar lights, just browse what is available and imagine how your garden can look after the sun has gone down. 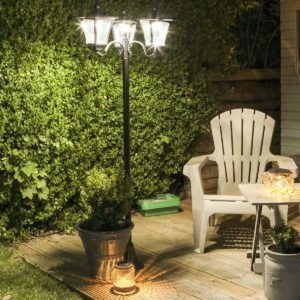 With a few strategically placed solar lights, you can continue to enjoy your garden or sitting outdoors as much after dark as during the day. 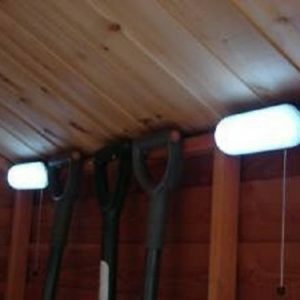 On this page we have listed solar lights suitable for lighting pathways. 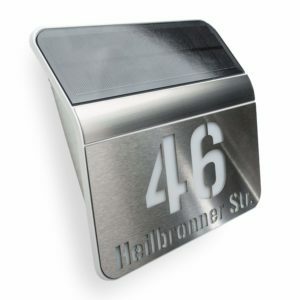 Of course, these are not the only solar lights suitable for pathways, but they are the first choice for most people. 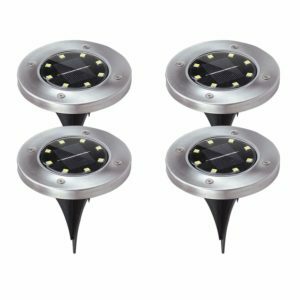 These lights are also ideal for patio and pool side areas (they are all completely safe near water), in fact in any area where a general spread of light is desirable. 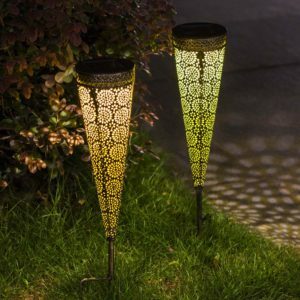 They are also ideal for placing among your plants lighting different areas of your garden. 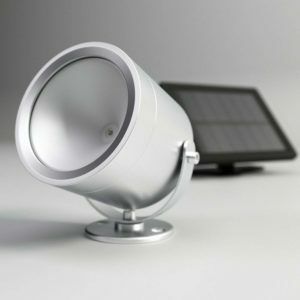 Solar pathway lights are the most popular, and quite rightly so. 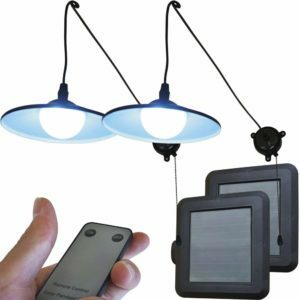 In particular hanging solar lights may be more suitable for your situation, or you may just prefer the more traditional look that many of these lights have. 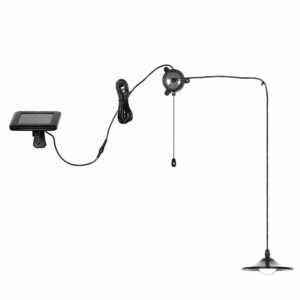 Hanging solar lamps are particularly versatile. The lamps come with a shepherds hook which can be driven in the ground to hang the lamp from. This is also an ideal way to use hanging solar lamps to light a pathway. But because the solar lamps have a hook for hanging, it means they can be hung from any suitable object, attach a length of cord and they can be hung from trees, Pagodas, in fact just about anything overhanging, even underneath a garden umbrella for sitting out after dark. In fact, you could one from a shepherds hook driven into the ground, and then move it to hang elsewhere while you sit out after dark, and hang it back on its shepherds hook again when you are ready to go in. As solar lamps do not generate heat, there is no danger in hanging solar lights from wooden framed structures or trees. A very versatile type of solar lamp. Solar landscape lights have numerous uses. They generally have short poles and are ideal for placing among plants and features. They can be bought in matching sets, and as they are easy to move around, it is easy to experiment with different arrangements. 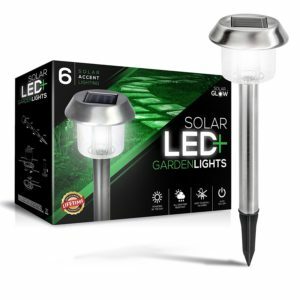 Solar landscape lights are among the most popular and affordable lights for use in the garden and on the patio. A great way to illuminate your home’s landscape is with a series of path lights, lining a walkway or flanking steps. The path lights are an attractive option for path lighting, featuring a classic shape and simple black finish. 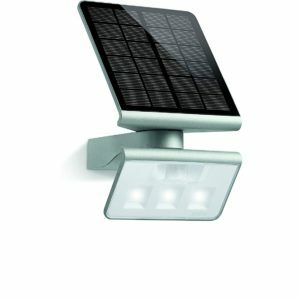 These lights also feature solar panels that naturally power your exterior illumination with natural energy from the sun. 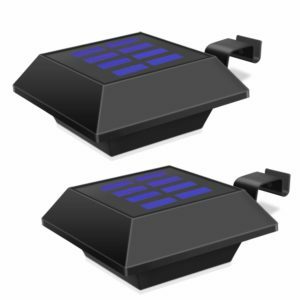 Have you been thinking about installing some solar driveway lights around your driveway? There are a lot of benefits that you will be able to get when you make the decision to use solar power for the lighting outside of your home. Not only will you be helping the Earth by not using electricity but you will be helping yourself by taking advantage of all of the great things that solar lights provide. 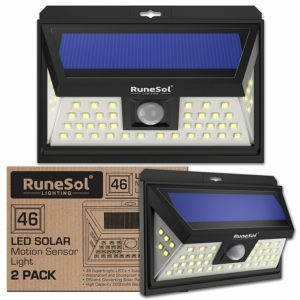 If you are thinking of putting some lighting around your driveway then you will want to make sure that you know about some of the benefits that you will be able to get when you use solar lights instead of the traditional types of lighting that are available. 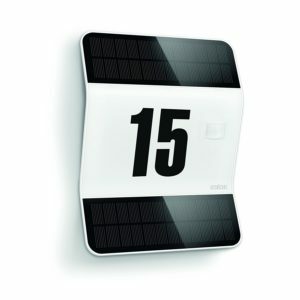 One befit that you will be able to get by installing solar driveway lighting is a cut in your electric bill. Solar lights use the energy that they gather from the sun during the day to operate at nighttime. This means that you do not have to worry about them using any electricity resources to run when it gets dark outside which in turn means that you will save money on your electric bill. 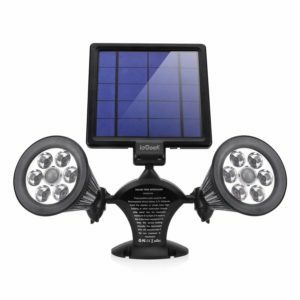 Another great benefit to having solar driveway lights is that they are easy to install. You will not have to worry about digging up the ground to run power cords, or trying to find extension cords that are long enough to reach the plugs for some of the lighting systems that you will find. 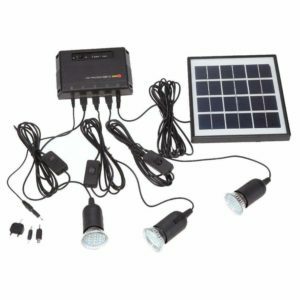 Most types of solar lights that you will be able to find to use along the edges of your driveway come fixed to a stake that you simply push into the ground. There is little to no assembly required for the use of solar lighting. 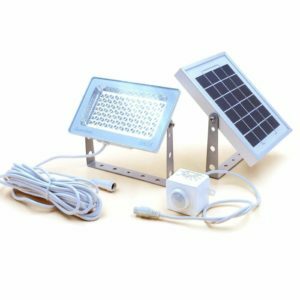 There are only a few parts that make up a solar light that you will have to worry about assembling if they are not already assembled when you buy them. You will find a stake that is used for securing the light firmly in the ground, a globe to concentrate the power of the light, and a top to the globe that contains that solar panel and the solar battery that is used to give the light its power. You can assemble a solar light in a matter of a few seconds and have it ready to use. 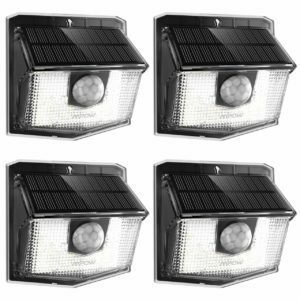 There are a lot of great benefits that you will be able to take advantage of with solar driveway lights. You will want to make sure that you look at a few different ones to choose the ones that will work the best for you. 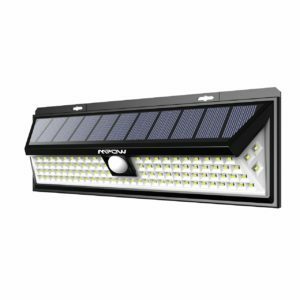 You will be able to see better when you pull into your driveway at night thanks to the power of solar lighting. 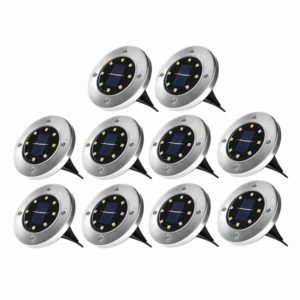 Solar landscape lighting has quickly become a very popular alternative for homeowners who want to add attractive lighting to their landscapes or gardens. 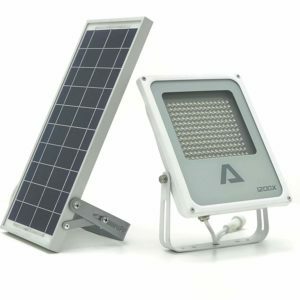 They are an environmentally friendly option, and best part is since solar lighting does not depend on electricity they are an affordable option as well. 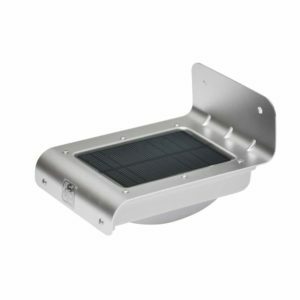 You will find that solar lighting is easy to install, easy to maintain and very affordably priced. 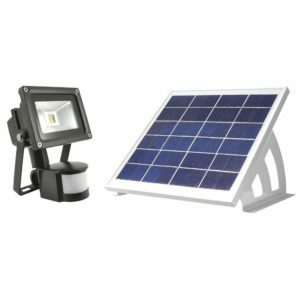 Compared to traditional landscape lighting which is costly to install, often requiring an electrician, and then requires monthly payments to the electric company, you can see why solar lighting is such a popular option. 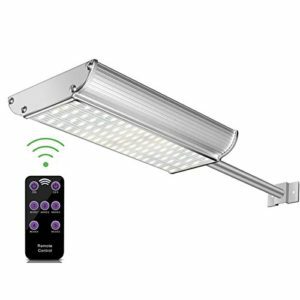 These lights can be installed in minutes, and come ready to use out of the box. No wiring or electrical knowledge necessary. They also use much less overall power than traditional lighting, which adds to their environmentally friendliness. 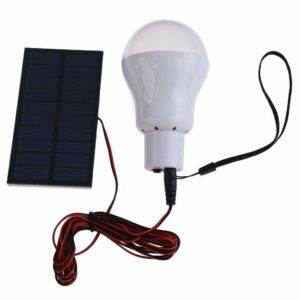 You will find that solar lighting is also very easy to maintain. They require no servicing or special attention really. They work using only the sun to charge a battery, and no you do not have to live in a sunny climate for these to work, almost any light will do. 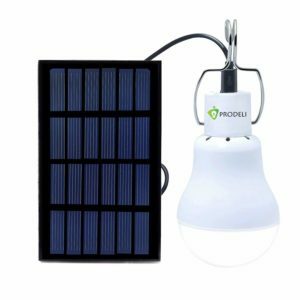 One benefit of solar energy becoming more popular is that the price of the lights themselves is becoming more reasonable. 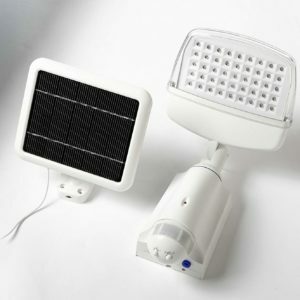 In fact you will find solar lights are not any more expensive than traditional lights, and many times they are cheaper. They come in a variety of shapes and sizes to fit your own personal taste, and since they are solar powered you do not have to worry about any monthly expense. 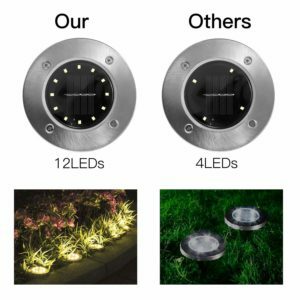 If you are looking for an affordable, environmentally friendly way to light up your outdoor spaces I would highly recommend you look into solar landscape lighting. You will be saving yourself money and the environment at the same time so really everyone comes out a winner! One of the best ways to decrease your current consumption of energy is to optimize the output and placement of your light fixtures. 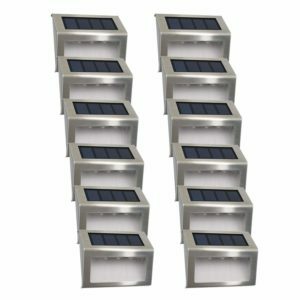 Solar patio lights are the most effective tool to completely eliminate these costs that can be installed on your property. 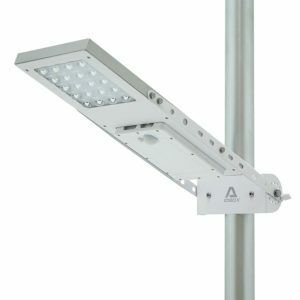 However, you should invest in fixtures containing a separate panel for powering them if you are unsure as to whether or not you need to put them someplace where they may not get direct sunlight. 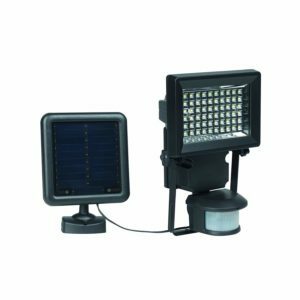 In this way, solar lights can be easily positioned in whatever areas you need. 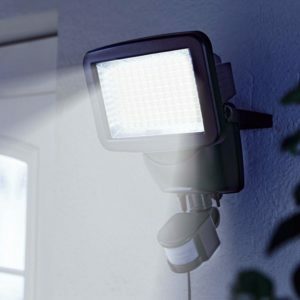 During the night hours sufficient light is provided by these lights to your landscape for enhancing its. Some manufacturers are even trying to implement an innovative technology which can function on cloudy days. You can install these fixtures with some basic and simple tools or simply with your hands. 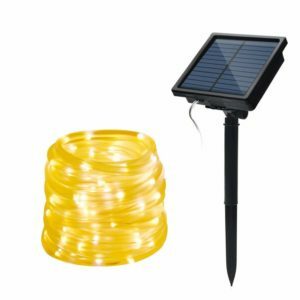 Ground solar lights are mounted on a stake, which needs only to be pushed into the ground. 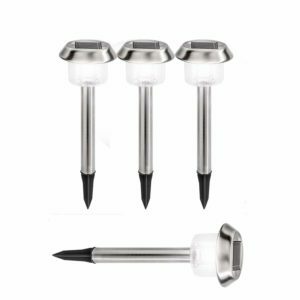 These are used especially to illuminate either the side of the driveway or walkway. They can also be used around shrubs and in flowerbeds for creating an awesome effect. You can use hanging lights for your decks, fencing and overhangs for creating an illuminated perimeter surrounding your home. 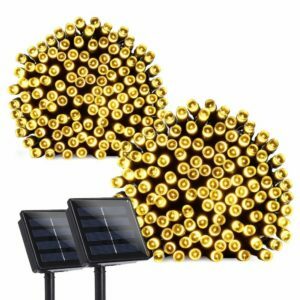 Solar Path String Lights Set of 6-(11.5 FEET LONG! )Flush and sconce lights can offer beautiful illumination when installed on solid surfaces like railings, walls and fences, considering the fact that they don’t contain directional illumination. 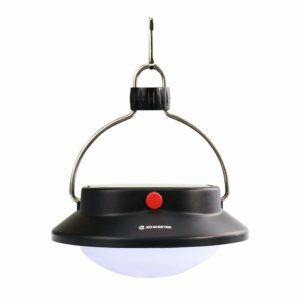 Upon visiting a lighting store, you will find that solar patio lights are available in a wide variety of decorative designs. This means that these lights can enhance the beauty of your surroundings even during the daylight. Decorative hanging lamps can bring a theme to your garden area. You can use structural or animal fixtures almost anywhere to add fun and decoration to your exterior property. A perimeter could be formed around flowerbeds with the help of rock or stone light fixtures. 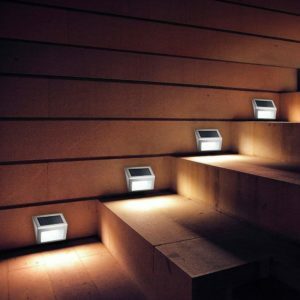 Endless possibilities are offered by the versatility of solar lights, when you want to enhance or decorate your home’s landscape. These long-lasting fixtures come with varying price tags, however, depending on the styles and quality that you are looking for, so make sure you research your purchase thoroughly. Whichever way you decide to go, making the decision to invest in solar lights will give you a chance to go green and reduce your maintenance costs, while adding beauty and elegance to your home. 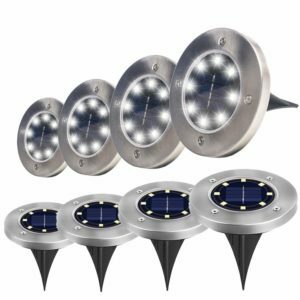 Installing solar garden lights is similar to many home improvement projects in that the likelihood of a successful end result is related to how well the objectives are defined in the first place. So consider what it is you’re trying to achieve – courtesy lighting for yourself and visitors, security lighting to deter intruders, a place to entertain or simply bringing the garden to life at night? There’s a good chance of course that your answer will include some, all or more than these possibilities. 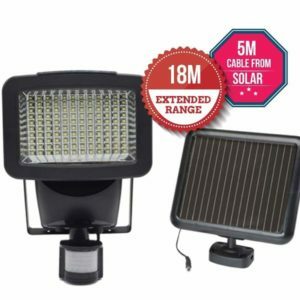 The problem is then one of balancing these different requirements on your outdoor solar lighting. But by at least identifying the requirements in advance it becomes much easier to separate the lighting into distinct zones and types of light fitting. 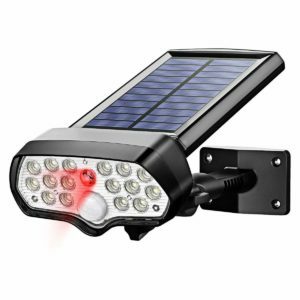 Solar deck lights for example won’t deter many intruders (though these highly versatile little devices will function very well in many situations such as path or drive markers). Equally you probably don’t want bright floodlights on your entertaining areas, and while low level coloured lights look lovely as decorative features in the garden they won’t help your guests see what they’re eating or drinking. Functional (or “task”) lighting as distinct from decorative lighting tends to be relatively easy to get right for the simple reason that it is usually obvious whether or not it performs the intended task. Driveway lighting should allow you to easily navigate the drive, security lighting should switch on in response to movement – such things are simple to test. 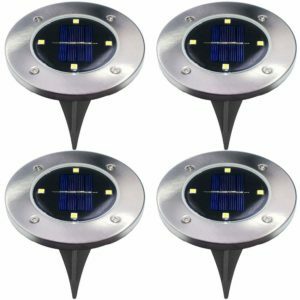 Decorative solar garden lighting doesn’t have to conform to specific requirements in the same way as functional lighting but there are still some guidelines worth noting. 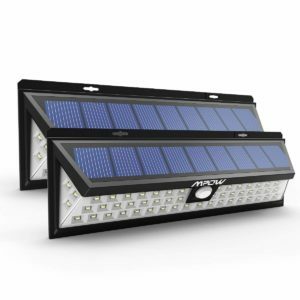 First and most obvious is that solar lights need to recharge each day which means either the lights themselves (or their solar panel if using an external charging system) need to be sited in a sunny daytime location. Second, because solar powered lights have to last many hour on a single charge from a battery they cannot afford to burn as brightly as mains powered lights. Modern high efficiency LED bulbs that use vastly less power greatly help, but even these are still usually less bright. 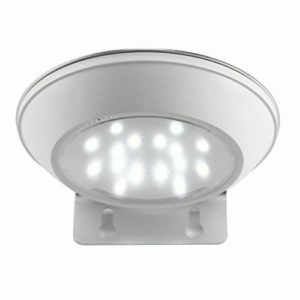 But this characteristic is not necessarily a weakness and it is possible to obtain effects with solar garden lights that mains powered versions cannot manage. 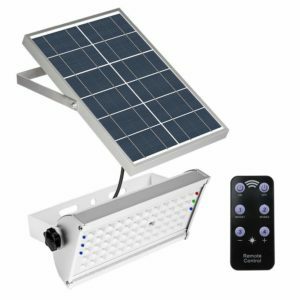 Third, a great benefit with outside solar lighting is that it is not only supremely simple to install, but also just as simple to modify; meaning that you can figure out ideal placements by trial and error rather than hoping to get it right first time. Simply pick units up and reposition them until you hit on an arrangement that you especially like. Finally, never forget that it is your garden and therefore you can do as you please. If you want to string solar fairy lights along a dull fence or scatter sun jars at random then go right ahead. 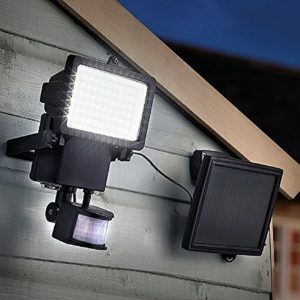 The fact is that pretty much any outside garden lighting looks a whole lot better than none at all, and it is near impossible to make a garden actually look worse by installing solar lighting. With good weather, quite a few of us are looking forward to backyard BBQs and other evening social events. We love to have these get-togethers on our back patios. Many of us, therefore, know the importance of having adequate light. Not having enough light can turn a festive evening into an event that will be talked about for all the wrong reasons! 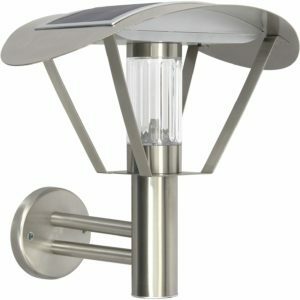 Solar patio lights are one of the easiest ways to insure that you and your guests get full enjoyment out of the evening. 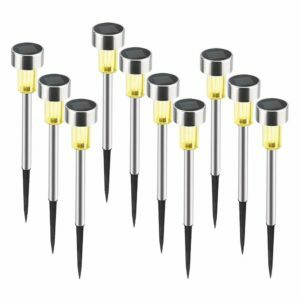 Do you have patio lights now? 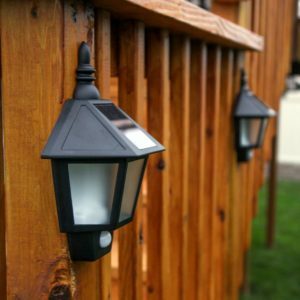 Most back yards have a single bulb, mounted to the outside wall with a switch inside that turns it on and off. I have seen people actually holding a flashlight while trying to cook on the BBQ! “Hold this and aim it at the chicken” is a phrase I have heard all too often. I have even seen back patios with extension chords running along the awnings to try to get more lights to dark sections of the yard. I remember a party I went to a year or so ago where we kept losing our light because people kept unplugging the extension chord by tripping over it! There has got to be a better way! There is better way. 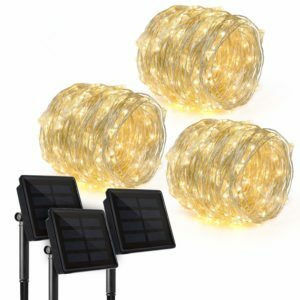 It is solar patio lights. 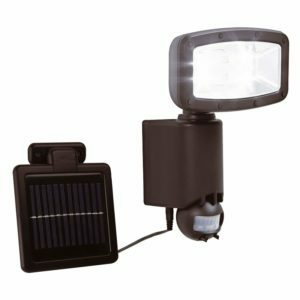 Solar lights can be mounted pretty much anywhere you need and have so many options and styles to choose from that it is very easy to find the perfect combination of lights to give you exactly what you need, where you need it. You can opt to install several lights around the edge of your patio to give a soft glowing light to the whole area, providing a warm and inviting ambience. 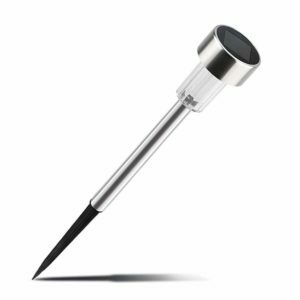 You can use solar spot lights to highlight other areas of your patio. 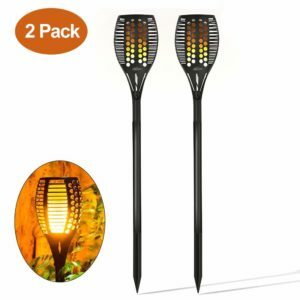 You can set them up to cast a multicolored glow from your patio cover or awning. 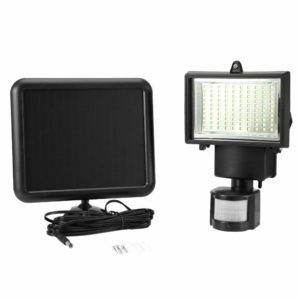 You can even use them as outdoor flood lights to help to light larger areas. 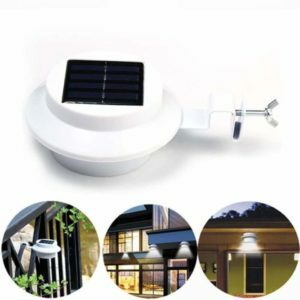 The great thing about solar patio lights is that they need no external electrical supply source. 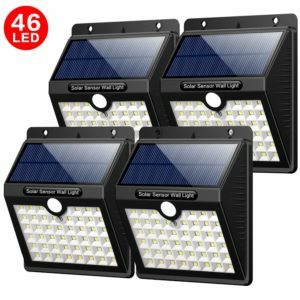 Like with all solar lights, you need only install them so that their solar panels can receive direct sunlight during the day, and when evening comes they will switch on automatically. They come in a vast array of styles so you can mix and match them to work with your existing patio decor. Installation can usually be accomplished in a matter of minutes. 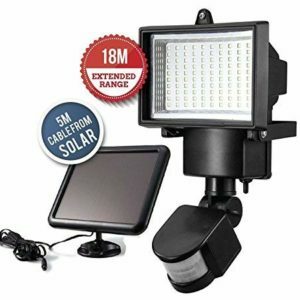 The biggest concern from consumers about using outdoor solar lights has been in the areas of cost and dependability. Over the last couple of years, however, solar technology has grown so much as to render those concerns obsolete. Solar cells have become much more efficient and much less expensive to manufacture. The integration of LED lighting has made concerns about bulbs burning out a thing of the past. 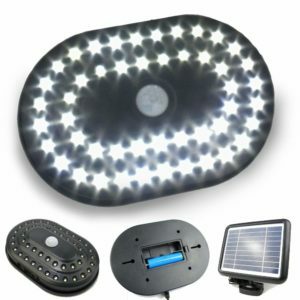 With a little bit of research and some savvy buying your patio can be beautifully lit with solar patio lights. To many home owners, their outdoor garden is the prime spot for relaxation. It is the perfect place to unwind after a hard day’s work, or a long day tending to the needs of their children. This means that people are constantly looking for way to improve the aesthetics of their gardens. Solar garden lights are the perfect way to do this. 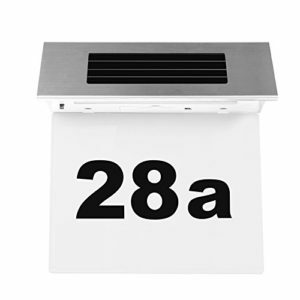 They are excellent value and come in a wide variety of different styles; there is something to suit everyone’s tastes. 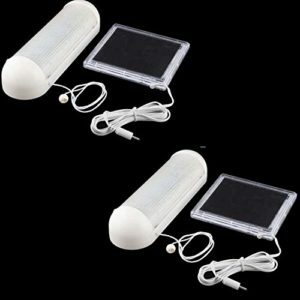 They not only improve the garden, but they will help you to enjoy your garden at night by illuminating the area subtly. This creates the relaxing haven that you desire. 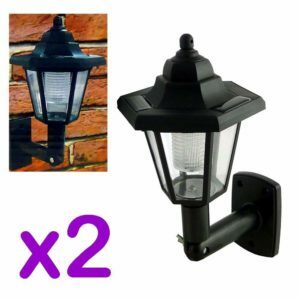 Not only are these outdoor lights great value, they are also completely ozone friendly and will obviously not add to your electricity bill, as they are operated purely from the power of the sun. People’s awareness of global warming, and the damage that is being caused to the ozone layer, has grown over the last few years. This has prompted an increase in the number of people looking for more environmentally friendly ways to lead their lives. 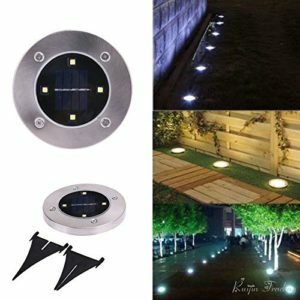 The use of solar garden lights is a great start. The fact that they are completely free of wires makes them extremely versatile, and very safe to use too. 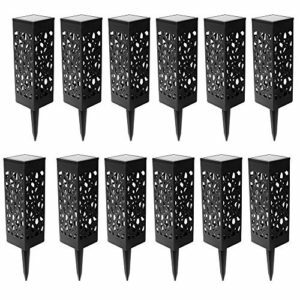 They can literally be placed anywhere in the garden, meaning that you can add extra light in areas that require it the most. 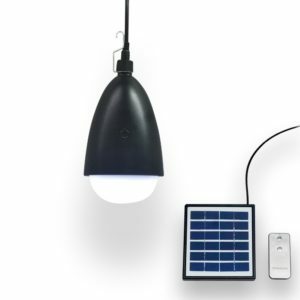 These solar lights come with a rechargeable battery and an LED bulb, which provide the light. 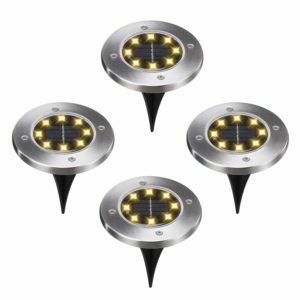 All of the solar garden lights are set to automatically come on once it turns dark. This feature can be switched off if you want the lights out when you go bed. 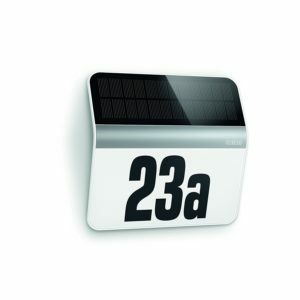 Once fully charged throughout the day by the sun, most models can provide you with between 8 and 10 hours of light. 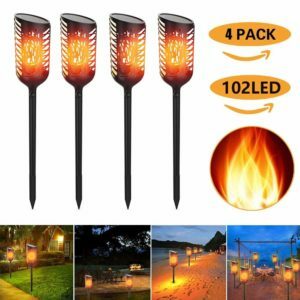 This should be more than enough to keep your garden lit for the duration of any gathering at your home, such as a BBQ or a party. Thus enabling you to enjoy your garden late into the night, without the lights you would be forced to take the party inside. 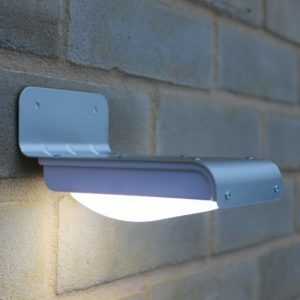 Solar lighting really is the perfect way to put the finishing touches to your outdoor space. The level of light that they emit will give your garden a relaxed and pleasant mood. The options are endless; they can be used around your swimming pool, your pond, to illuminate pathways, literally anything.